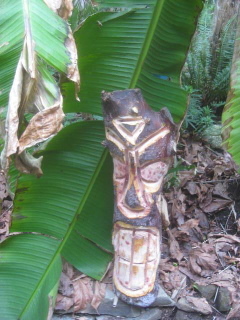 Banana Joe is inspired by nature. 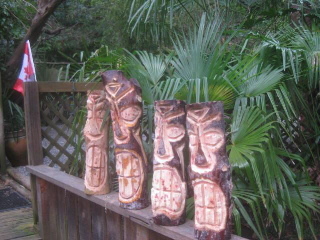 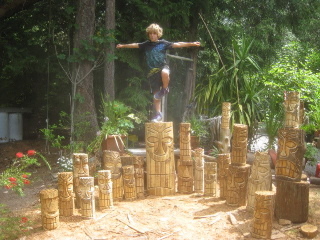 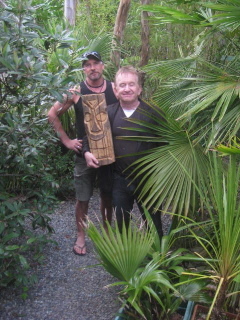 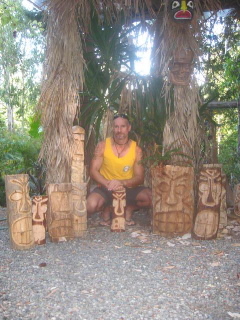 Joe carves folk art tikis for peoples gardens and homes using all different woods to create his unique style of tikis. 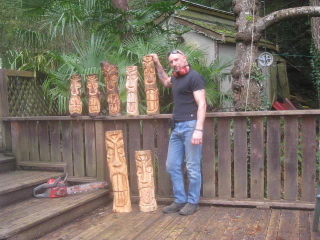 Along with Wendy Taylor, the artists welcome you to enjoy some West Coast Art in their exhibit at Island-Ink Starry Starry Night Artsian Studio.